It’s been two decades since a Danish player last won the men’s singles title at the All England Open. In Viktor Axelsen and Anders Antonsen, Denmark finally has a couple of players capable of ending that drought. The question is, can they? 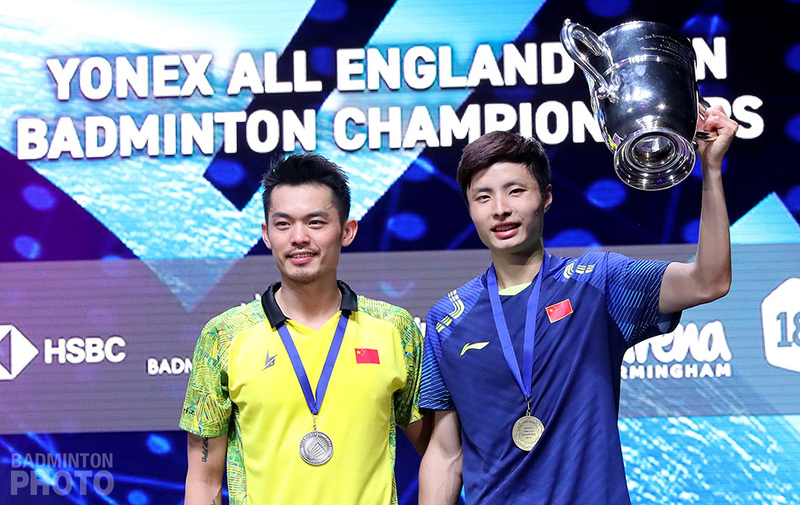 As the prestigious All England Open Badminton Championships enters its 120th year, China and Denmark are tied when it comes to the men’s singles honours. Both the mighty China, the most dominant nation in recent years, and the tiny Denmark, a perennial challenger to the Asian dominance, have won the coveted men’s singles title 20 times apiece. However, beyond the statistics there is a different story altogether. China began participating in events sanctioned by the Badminton World Federation (BWF) – then known as the International Badminton Federation – only in the early 1980s. 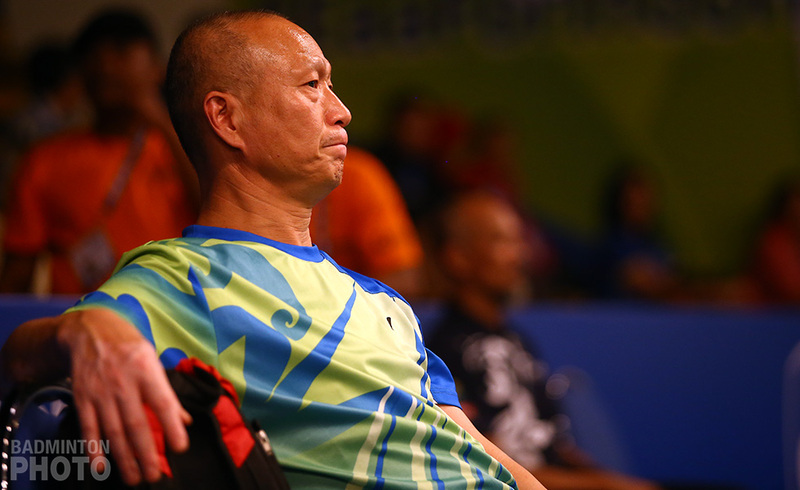 In under four decades, the most recent addition to the global badminton fraternity has also become the sport’s most dominant nation. When Luan Jin (pictured below) bested the legendary Morten Frost at the Wembley Arena in 1983, he not only avenged his loss to the Dane in the 1982 final but also set the tone for a new era in badminton, one defined (and redefined) by the success of China. In the 35 years since, on 19 occasions it has been a Chinese player who won the men’s singles title, and there have been seven all-Chinese finals in the discipline, the most recent being last year, when the young Shi Yuqi prevailed over six-time champion Lin Dan. The Danish story, on the other hand, has had a different narrative. Tage Madsen’s three-game win over five-time defending champion Ralph Nichols in the 1939 final was Denmark’s first major title in the competition. Thus, on the eve of World War II putting a temporary halt to the competition, Denmark closed the book on historical English dominance of the men’s singles discipline, limiting the hosts to 24 such titles, and ushering in the new era. The tiny Scandinavian nation witnessed continued success in the next six decades with likes of Jorn Skaarup, Erland Kops, Knud Aage Nielsen, Svend Pri, Fleming Delfs, Morten Frost, Ib Frederiksen, Poul-Erik Hoyer, and Peter Gade etching their names in the roll of honour. While Kops won the tournament seven times (in eight finals) between 1957 and 1967, when the tournament was still considered the unofficial world championship, ‘Mr. Badminton’ Morten Frost (pictured right) reached the final for eight straight years between 1982 and 1989, winning the title on four occasions. The world’s greatest badminton player to never become World Champion – he finished second best in the World Championship finals in both 1985 and 1987 – Frost never regretted not winning the only major silverware missing from his enviable trophy cabinet. His continued and sustained success at the All England Open provided the requisite succour. “Maybe I missed out on that one but I have just let it go. I just didn’t succeed at the World Championships. I have more or less come to terms with it,” the legendary Dane once told this writer. The last of Frost’s four titles came in 1987, the Dane finishing second best to compatriot Frederiksen and China’s Yang Yang in the following two finals. Thereafter, current BWF President Poul-Erik Hoyer won successive championships in 1995 and 1996. And in 1999, the centenary year, Peter Gade (pictured) edged Taufik Hidayat of Indonesia to win the coveted title. It was the 20th time Denmark had won the men’s singles category. And that was that! The Danish success story then came to a screeching halt. It’s been two decades since. The Danish women and the country’s doubles teams have performed better in the intervening years but the men have failed to deliver. 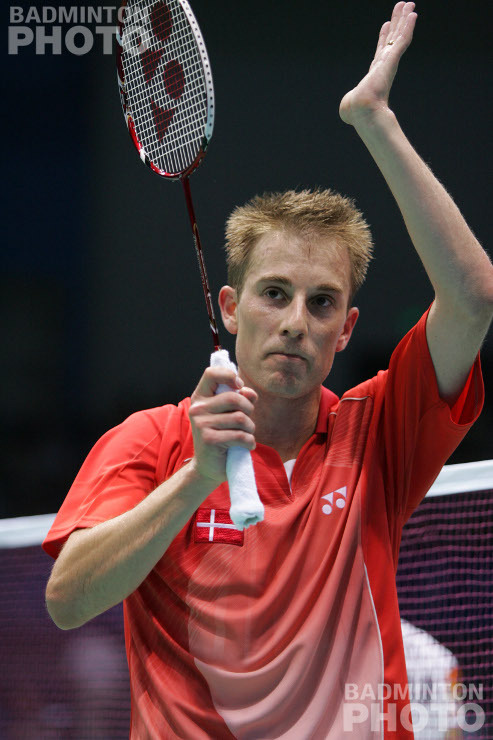 In fact Gade’s success, and his subsequent failure to repeat the feat, can be considered as a microcosm of Denmark’s overall struggles in the men’s singles discipline. 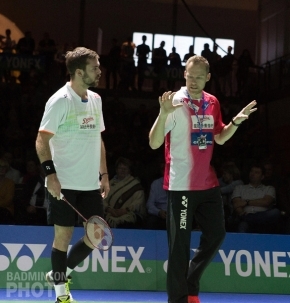 Gade, for all his Grand Prix titles and top ranking, always flattered to deceive at the big ticket events. In fact the All England Open of 1999 was his biggest career title. 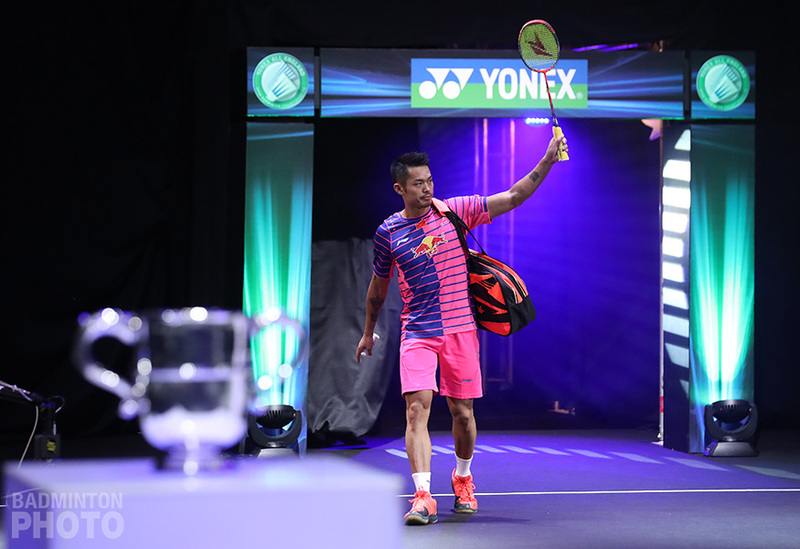 Gade reached only one more All England final – becoming Lin Dan’s first ‘final’ victim in 2004 – even though he played professionally till 2012 and reached #1 in the world rankings as late as 2006. 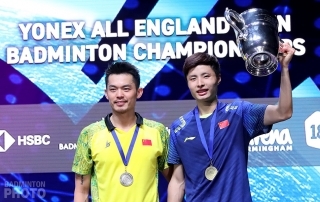 Lin Dan (pictured right) has since won a further five titles in Birmingham, part of the what has led many to name him as the game’s greatest player ever. Jan Jorgensen has been the lone other men’s singles finalist from Denmark thereafter, losing the 2015 decider to China’s Chen Long. Though a competent player, the Aalborg native has seldom been a threat in the tournaments that matter, and lacks that one major weapon that can consistently hurt the game’s biggest of names. Truth be told, the assembly line of Danish players who came after Gade – the likes of Joachim Persson, Kenneth Jonassen, Jan Jorgensen (pictured) and 2016 semi-finalist Hans-Kristian Vittinghus – never looked capable of getting all the way to the top of the podium. However, things have changed for the better since. Ahead of the 2019 edition, Denmark looks better placed to mount a serious challenge. In Viktor Axelsen (pictured below), they have a player who has already won more ‘titles that matter’ than any other Danish men’s singles player ever. From being, in 2010, the first European singles player to become the World Junior Champion to becoming the World Champion in 2017, the 25-year-old has come a long way. His impressive resume includes successive titles (2016-17) at the Superseries Finals – where he was the first Dane to win the year-ending extravaganza in his discipline – plus multiple other Superseries titles, a Thomas Cup gold medal, the European Championships (2016 and 2018) and a bronze medal at the Rio Olympics. 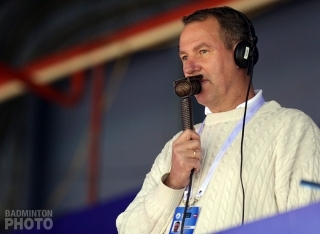 Apart from the Olympics, the All England is perhaps the most important trophy missing from his cabinet. 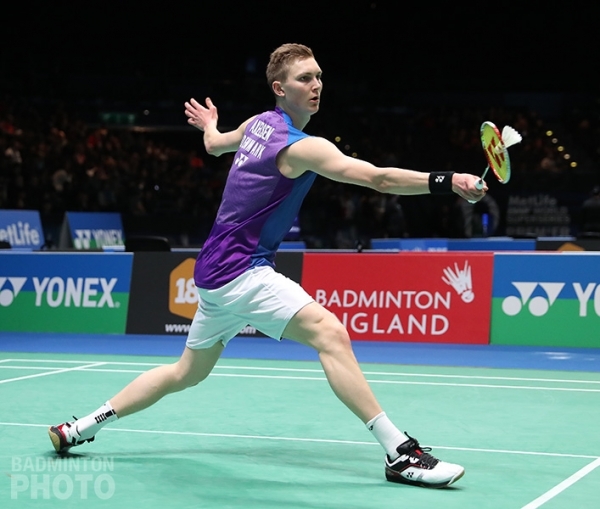 For someone who made his All England debut back in 2012, and has played in five editions since, Axelsen doesn’t have a very impressive record in Birmingham, having failed to advance beyond the last eight. If that is not motivation enough, he will draw inspiration from the fact that he is making a comeback this season after having struggled with health issues for most of 2018, when the All England was one of several tournaments he was forced to pull out of. To his credit he has started this year well, reaching the semi-finals of both the Malaysian Masters and the Indonesian Masters. We will know soon whether injury will interfere again, though. Although the Dane withdrew from his national championships last week with an adductor muscle injury, he was still on the list when All England seedings were published the next day. Apart from staying healthy, if he is to win the elusive Super 1000 title in Birmingham, the major challenge for Axelsen will be to find a way to beat Chen Long (pictured left), and more importantly Kento Momota, something he may have to do in successive matches. 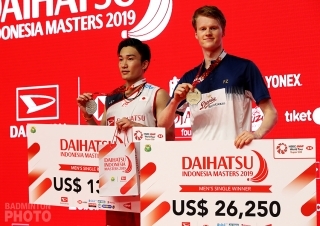 While Chen bettered him in Malaysia, Axelsen did get past the Chinese player in Indonesia, only to run into the reigning World Champion from Japan. To say Momota is Axelsen’s nemesis would be an understatement. The Dane has positive head-to-head records against almost all the top players but Momota, Chen Long, and Lee Chong Wei are the only three who have a substantial edge over the former world #1. While he has on occasions found a way to beat the Rio gold and silver medallists, Axelsen is yet to crack the Momota code. Forget going for a win, as things stand Axelsen struggles to even put up a fight against the Japanese numero uno, whom he hasn’t beaten since 2014, before either player had won his first major title. Perhaps Axelsen needs to pick up a trick or two from his young compatriot, Anders Antonsen. 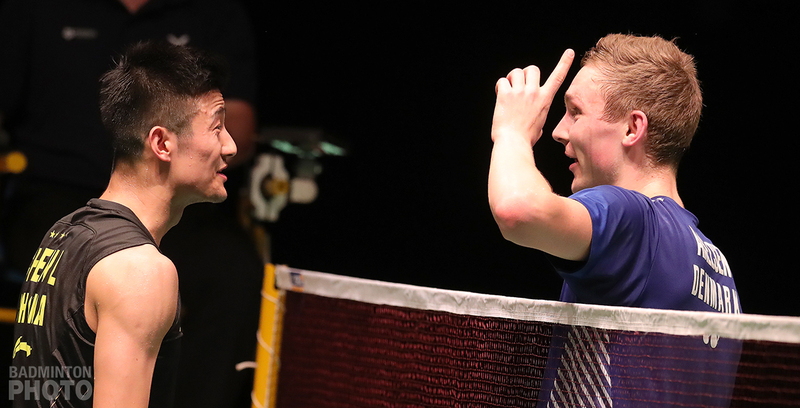 The 21-year-old from Aarhus faced an in-form Momota thrice in 2018, and on two occasions the match went to the distance. How’s that for putting up a fight? 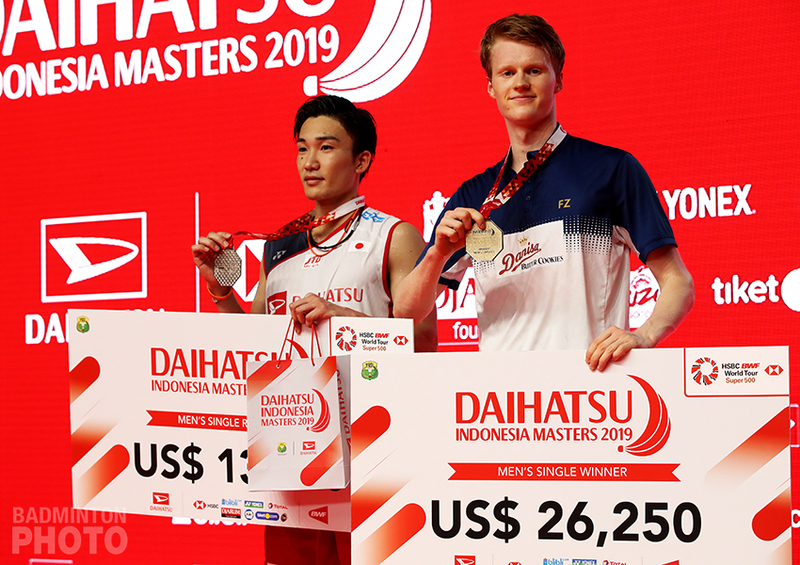 In the recent Super 500 tournament in Jakarta, Anders Antonsen finally got the better of the Japanese star. In fact, the 2019 Indonesian Masters is an apt example of the major challenge the Danish contingent will face in Birmingham. In that tournament, Kento Momota (pictured) faced four Danish players in five rounds, comfortably beating three of them before running into the youngest of the lot. Having said that, Antonsen, though he has immense potential, is not a finished article yet. On a positive note, his aggressive game and youthful energy hold him in good stead. On the negative side, he gets excited very soon, like most 21-year-olds would, and this is to his detriment more often than not. Still, Antonsen is a player in form. If he can channel his energy in a positive direction he has the game to beat any player on a given day. With Axelsen and Antonsen, Denmark has perhaps the best chance in years to break the 20-year drought in the men’s singles discipline. The question is, can they?